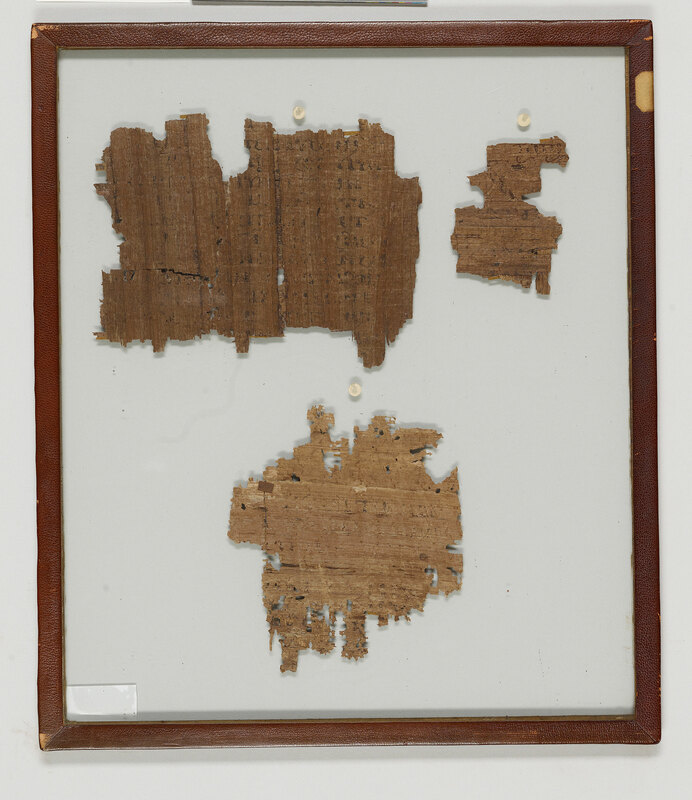 Manuscript fragments from three leaves of a papyrus codex Bible lectionary; written and decorated in Egypt. 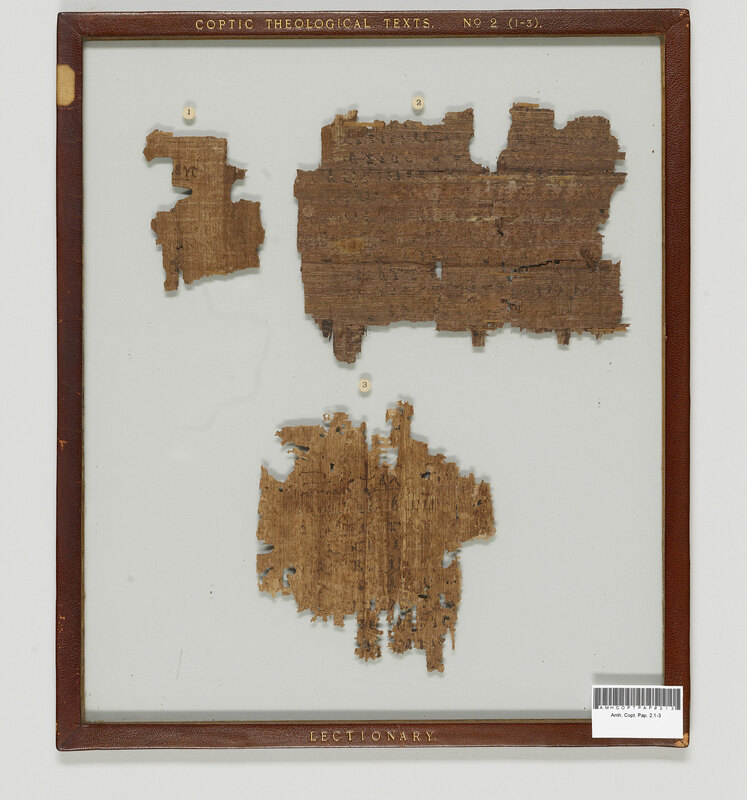 Texts: Fragments from a Biblical lectionary containing the verses Psalms 28:8, 50:7-9, 97:1-2, 107:2-5, Ephesians 5:17-20 and Titus 2:11 (?). All verses are fragmentary. Written area ? x ca. 125 mm. Divisions: Title in red, dividers (sometimes string of horizontal S-signs), and reddened enlarged initial setting off paragraphs (1 instance in fragment 1r; an obelus left of divider? ); title on the recto of fragment 3 preceded to the left by a triple dash-and-two-diple divider.